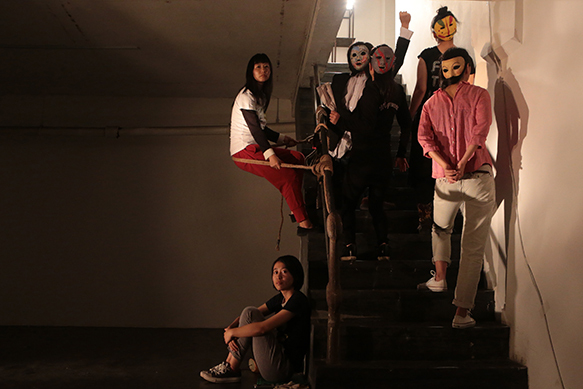 China Residencies got in touch with am Art Space founders Lam & Yu Ji (Jam) over e-mail to learn more about the history and mission of their Shanghai-based art space and residency program. 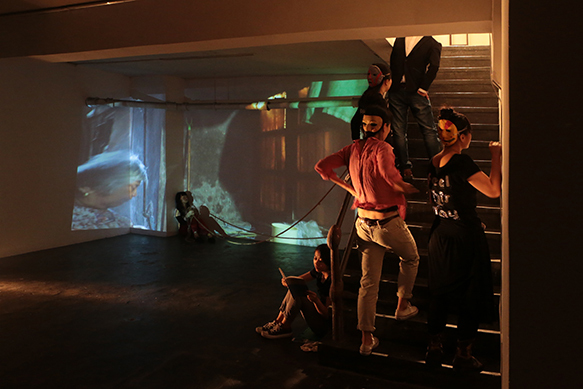 China Residencies: Since starting am Art Space in 2008, how has the residency changed? Lam & Jam: am Art Space was established in 2008 and the residency program followed after, in 2010. During the early stages of the residency we didn’t really have strict requirements for the application process, including deadlines or projects’ thematic focuses. It was mostly just artists getting in touch and we would give them the residency if we liked their work. Since relocating in 2011, the residency program has become more structured, which includes requesting a fee from residents, which also means we take on more responsibility for the residents. Everyone we’ve had between 2011-2012 were able to get funding from their respective countries. Since 2013, we started working with The Goethe-Institut China and the Department of Culture and Education of the Consulate General of the Federal Republic of Germany in Shanghai. CR: How did you find and decide on each location for the space, and how did you end up on Fengxian Road? LJ: During the first two years before we moved to Fengxian Road, am Art Space was at an apartment that a friend transferred over to us on Xiangshan Road. It was more or less a forced eviction as we didn’t want to move out of that space. There were some property rights disputes over the entire building’s status as a historical landmark and so we, as the first wave of renters, got kicked out. We found our current space on Fengxian Road space after much searching. We really wanted to be in an affordable space in the city center with convenient transportation options. "Windowless Scenery series Vol. 2"
CR: What are some recent exhibitions and events am Art Space has put on? 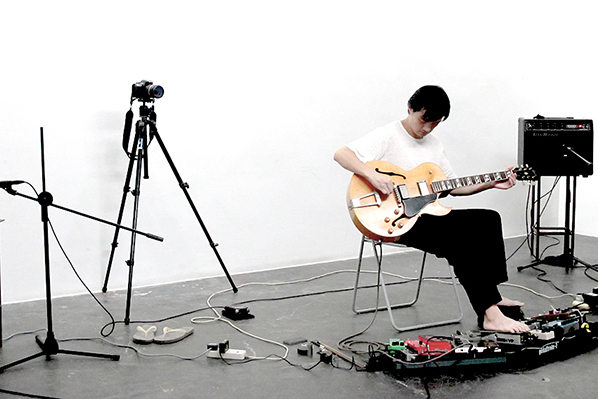 LJ: Beginning last summer, we’ve been running a 15 month-long performance project: the Windowless Scenery series, where once every four to six weeks a Chinese experimental sound artist performs his or her piece for an hour at the space. There are two remaining events for this year. 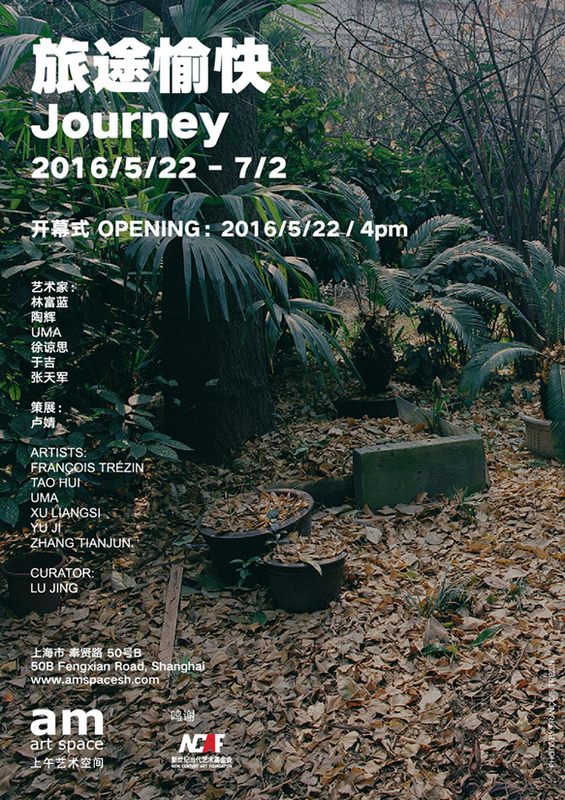 In May we had our yearly “Young Curator’s Program” and also invited Lu Jing to curate a group show titled Journey. At the same time, we launched “ma Kit”, a concept shop and collaborative project between curators and artists in a repurposed micro-studio upstairs. In September Liu Xinyi, Yang Zi, Han Xinyi’s collaborative project and exhibition “Chamber of Secrets” will open, with the 2016 German Artist Residency beginning immediately after that. This year’s recipient of the two-month fellowship is an emerging artist group called Amy & Enzo. So, it’s a full year of programming! CR: Tell us about Lam & Jam -- what are your backgrounds, and how did you meet and decide to start working together? LJ: We’re both native Shanghainese. Lam & Jam refers to Lamu (Lam) and Yu Ji (Jam). We met in 2005 and founded am Art Space in 2008. Lam studied digital art and Jam’s background is in sculpture. Jam is still an independently practicing artist, while Lam has founded am design group, a design studio. We both have always been passionate about art, and are personally invested and involved in it. Other than grants and financial support from foundations, the daily expenditures and operating costs are all provided by us and our other endeavours. There are also just three of us running the space. CR: Tell us about your residency program. What kind of artists and projects have you seen come out of it? LJ: Currently we support just one artist (or in this specific case, an artist duo) for a one two-month residency every year. In selecting the individual, we gravitate towards artists who haven’t really been abroad. We’ve found that these individuals’ perspectives and attitudes will be more open-minded; the more they’re confronted with cultural differences on a day to day basis, the more they get out of the experience. In terms of what we’d like them to accomplish within the timeframe, we only recommend they get their materials locally, and complete their projects here. Aside from the actual work on the project, we assist in arranging opportunities for them to meet practicing local artists. Our goal is to create a genuinely enjoyable exchange that isn’t only limited to art; we encourage the residents to submerge themselves into the cultural and folk daily life. We hope that they’re able to fully experience the city and formulate new perspectives. In our collaborations with artists worldwide, we’ve been able to witness each artist’s completely unique way of working. As a residency program, we highly encourage artists to embrace experimentation and look forward to how they’ll take on all the challenges they may face in their practice and artistic research. 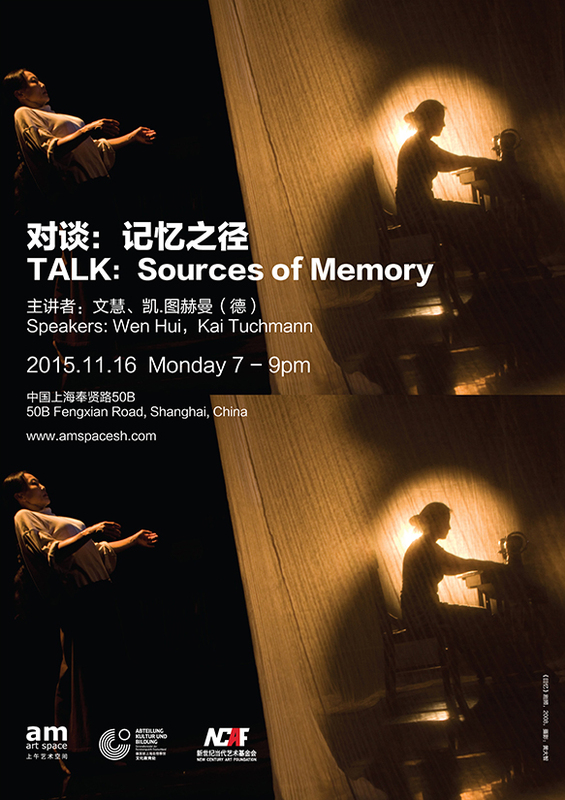 We just recently hosted a German playwright, Kai Tuchmann, who with Shanghai experimental theater group Grass Stage, completed 70 hours of documentary workshops. 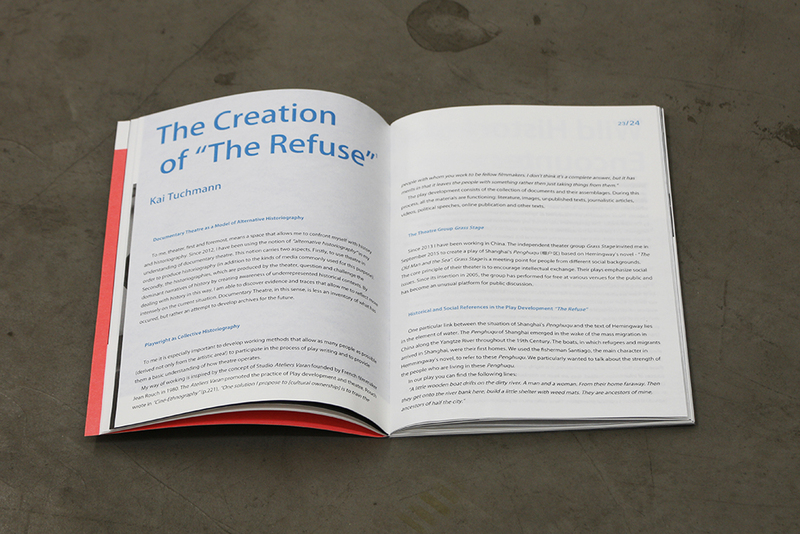 The result was two performances at am Art Space, and a printed publication, of a piece titled The Refuse, that drew inspiration from research done on the history of Shanghai ‘Penghuqu’ shantytowns and Ernest Hemingway’s Old Man and the Sea. Just finished a publication with the same name last month. CR: How do you see the residency evolving over time? LJ: Since the beginning, am Art Space has always operated under the idea of “a space for reflection,” used as a space where artists can find creative inspiration, fully realize their project plans and the potential of their medium, and form connections and mediated interactions between themselves and the public space. The international residency program provides artists the opportunity to challenge, question, and renegotiate their process and creation. The residency program gives local artists a new way to exchange ideas with the public, creating an opportunity for meditation on the self and the other. It’s a positive and beneficial, as well as intuitive process. LJ: We don’t stress any specific outcome. The residency can culminate in anything from an exhibition to studio visits, talks, or workshops. CR: Can you tell us about the proposal review process in your collaboration with Goethe-Insititut China? LJ: The selection board is composed of three groups: the Goethe-Institut, am art space, and a different third-party independent curator each year. We go through two rounds of reviews before making our decision. Unfortunately, due to limited resources, we can only accept one person and that makes the competition a bit crazy. We’d like to apologize for that! This interview was conducted over e-mail on July 21st 2016 and translated by Fei Liu for China Residencies.